Please Note: The PTZ-92E001 is no longer manufactured, please refer to the PTZ-A10X. The PTZ-92E001 PTZ security camera may be controlled by an optional RS-485 controller. 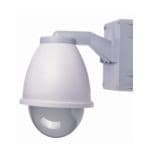 This camera is a speed dome capable of 22x optical zoom and supports 520 TVL of resolution. 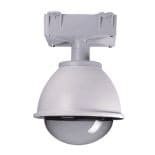 The stylish dome design of this camera make it an excellent choice for commercial applications such as department stores and commercial buildings. 12V DC Power supply included. 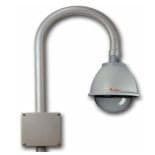 With flexible weatherproof housing options, this PTZ security camera can be applied to just about any indoor or outdoor surveillance system. Setting up this PTZ camera to be controlled by the systems that we privide is simple with the step by step instructions and support that we provide. Check out the below setup instructions for the various options that we offer.